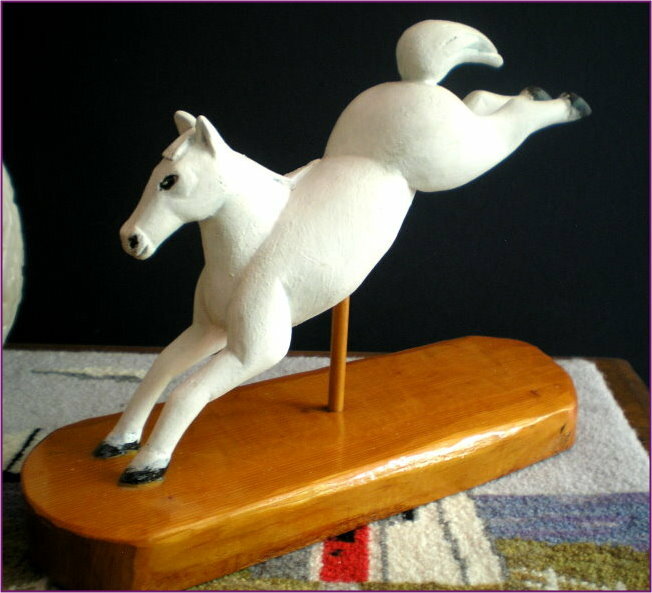 Leaping White horse carved by Gordon McCartney in 1993. 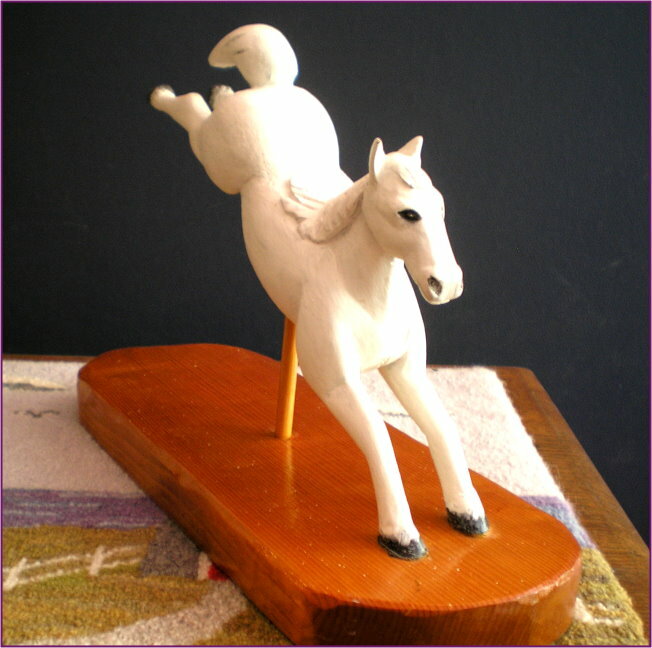 Both horse and base are carved out of basswood. The horse itself is 7.5” high and 9.5” long with the base being 4.5” wide, 12” long and 1.2” deep. 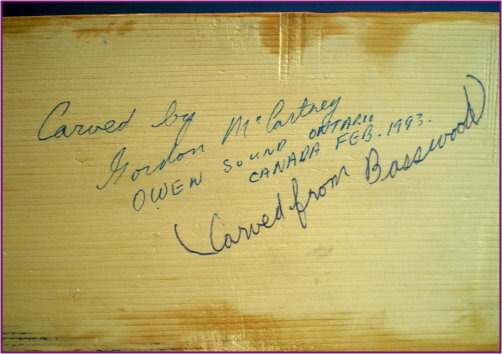 Gordon grew up in Wiarton and lived in Owen Sound and, for many years until his death, lived Chesley, Ontario. He had a great folk-carver’s eye and hand, he carved gifts for relatives and had many customers who regularly commissioned him for specific pieces. 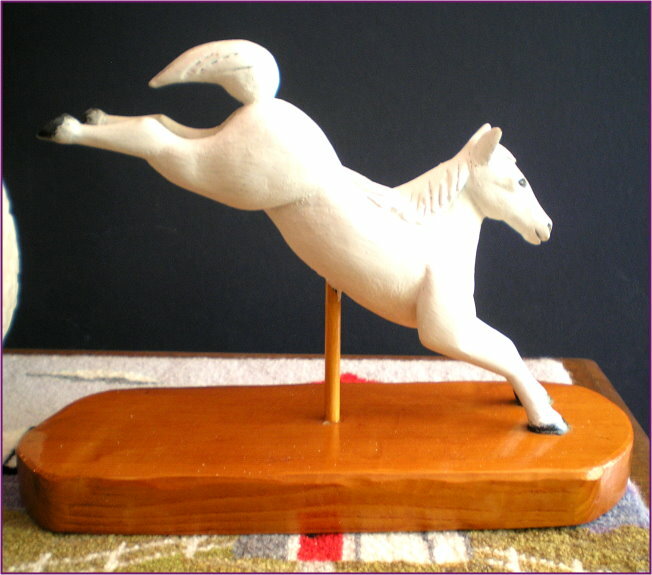 This leaping horse is signed and dated on the bottom of the base by Gordon.